The original fully formulated Heavy Duty coolant. Does not require a pre-charge of SCA. Provides a cost effective, premium product with an extended service interval. Life of the engine coolant 1M miles coolant without the use of extenders or SCAs. 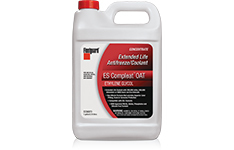 An environmentally friendly, low maintenance, superior performance, robust product. 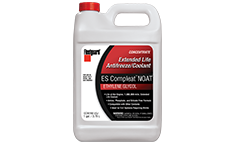 Lifetime, Heavy-Duty, Fully-Formulated NOAT Coolant. Designed for use in heavy-duty applications. Compatible with EC-1 systems and all commonly-used engine elastomers. 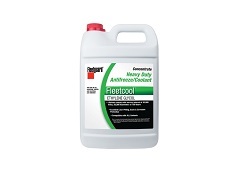 Coolant filtration is proven to reduce wear and to maintain all cooling system components. Additionally, water filters can provide a convenient and reliable method for delivering supplemental coolant additives into the cooling system to improve performance and extend coolant service life. Every good cooling system maintenance program should include regular coolant testing to determine if the proper level of protection is present or if contaminants exist. A good coolant testing program eliminates guesswork and allows the cooling system to maintain peak performance. With several application options to choose, Cummins Filtration offers fuel additives that make a real difference in the modern engine fuel system, including improved fuel economy, longer service intervals, reduced exhaust emissions, and increased combustion and power. 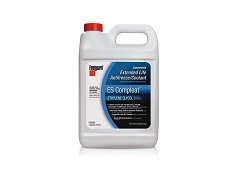 Cummins Filtration offers two types of cleaners to keep your cooling system in top condition. Both Restore and Restore Plus remove contaminants without harming metal surfaces, gaskets, hoses or plastic parts. They are also approved by Cummins® as the preferred product for cleaning oil contaminated cooling systems under warranty maintenance.